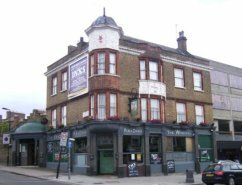 Residents living near an Acton pub are worried about a new licensing application that could mean it stays open until 1.30am. The Windmill Pub, 50 High Street, wants to extend its hours so that it has the option to open from 8am until 1.30am Monday to Sunday (selling alcohol 10am to 1.30am). The pub has also applied for music, dancing and discos from 8pm to 1.30am. There have been problems in the past with noise from High Street drinkers, and three years ago The Windmill Pub had it's hours cutback following local complaints. The Churchfield Community Association is currently seeking local views to put before the Council. ''The views that I've received so far are all against the longer opening hours. The view of the Churchfield Community Association Executive is that we are likely to make a representation and ask the Council's licensing panel to stick to core licensing hours for the pub in view of its past record, closeness to people's home and because Acton High Street is not a late night drinking area and we don't want it to become one, but we would like to hear people's views, especially those living close by the pub.